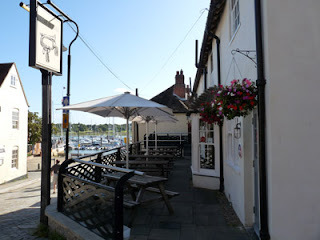 The Bugle, in Hamble (or Hamble-le-Rice if you really must) is now in the 146 Cider book of outlets as the newest to take us on. 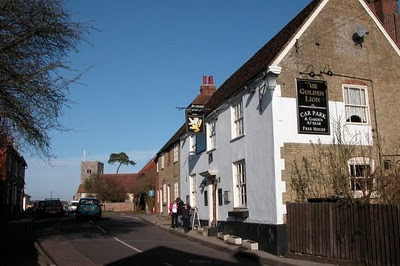 It is also great in that the 'food mileage' of 146 is dipping almost to the single figures for this pub! with a total of about 4 miles from Orchard to 146, its then got to be no more than another 5-6 miles to the pub! Given that 146 Cider is in its first commercial year, the aim was to keep things small - a couple of pubs, a couple of retail outlets and a few festivals. I am very pleased that this has been achieved within the first 6 months - not at all the places I had figured on, but that is probably a good thing! As usual, the Bugle is now added to the list of outlets - we shall see if they are a regular! 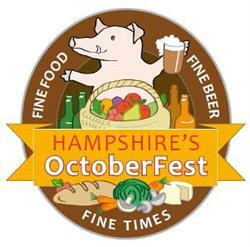 Another festival to add to the diary... the Ale-ing Fest is a beer festival on Hayling Island, near to Portsmouth. Now in its 15th year, it is a relatively small event (well, by some standards) it will feature '24 ales and cider' - though I am not sure what other ciders will be there yet. 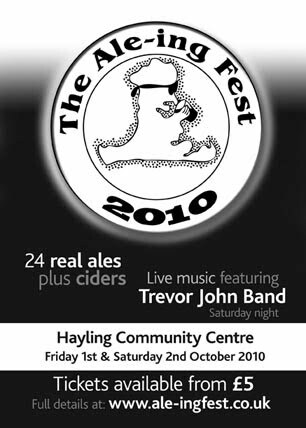 This year the Ale-ing Fest is taking place at the Hayling Island Community Centre over the weekend of the 1st and 2nd of October 2010. Another opportunity to sample 146 Cider on draught! So, the pressing season is nearly upon us!! 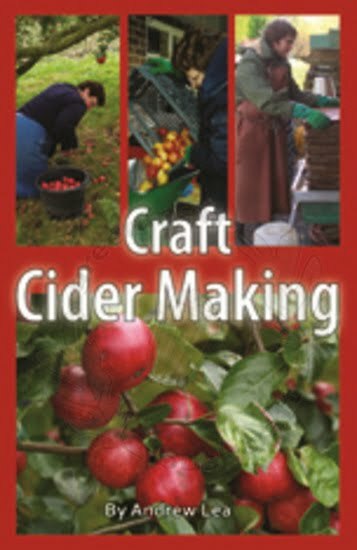 - I like 146 to capture the whole of the season, so although the early fruit neither contributes a lot to the taste of the cider (early apples tend to be thin and low in sugars) they provide a good starting fermentation to 'share' with the later pressings. Also, because of the dry year we have had so far, I do expect to encounter problems with high sugar levels in the main crop. High sugars mean high abv, and anything about 8.5% is liable for duty at a high level (the cider effectively becomes classed as 'made wine'). So the early fruit may help temper this a bit. As I do have a full time job, and ironically one of the busy periods of the year is during the cider season, I don't expect to get much more time to collect and press apples than last year. Pressing for longer, into November and towards Christmas, is the main answer and should also give the apples more time to ripen properly. Don't believe the 'straight from the orchard to the press' rubbish that some advertisers would have you believe! It may work like that for some 'brands' but to craft a full juice cider, the fruit is left to fully ripen first... some Somerset farmers would say its not ready till some are black! The other tactic has been to buy a second press. Producing volume on your own is all about optimising time - but the tricky bit is not to cut corners in the process! Using two presses in tandem should deliver 300 litres in a full day of pressing, whereas this was 150 litres last year. The other press is a proper, Goodnature press, which uses a manually operated hydraulic ram. Its still a rack and cloth set up, just like the 'Raypress' and it will press roughly the same amount of pomace too. Once it has finished going through its overhaul, that is! To go along with the planned increase in production, there are now two 1000 litre IBC's embedded at the back of the Cider Garage. These will help blend and mature the cider in bulk with a lot less moving about. Ever keen to supply local events and get as many people as possible the chance to taste 146, it will next be available at the Wickham Charity Beer Festival on 11th September 2010. Click here for location and details. So, what is the Reinette? Well, as you might expect its French. It dates back to the 1700's (breaking the Victorian mould), and is used in the UK mainly as a desert apple. The French, however, use it also for cooking as the flavour is absolutely superb... just something to consider when you are breaking out the Bramleys for the apple pie next. From records, its not a great keeper, although this is not something us cider makers have to worry about too much (sorry, Stephen). Next time its back to cider varieties – Stephen Hayes mosted favourite (I think... well, at the moment it is), Yarlington Mill. Superb apple – very reliable... a lot of it in 146 Cider! Apples! Not just apples, but high quality heritage apples! Sorry, already done that!!! 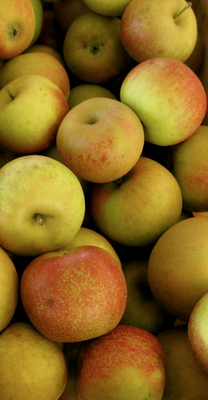 When it comes to cider apples, there is probably none more inedible than the Tremletts Bitter. My friend Stephen Hayes regards it as a condiment – to be used sparingly as it is so bitter and almost no sweet. It is true that it is full of tannin and not much else. It is the Bramley of the Bittersweet cider apples. It is a small, highly red apple that ripens mid September and can be very shy to give out much juice. However, it turns out at a time when the majority of early fruit is being pressed and provides a ‘tannin injection’ into what would otherwise be a weak part of the blend. Early apples tend not to keep well, and are pretty thin on flavour. However, if you want to get the flavour of the full season, they are an important part of a blend. 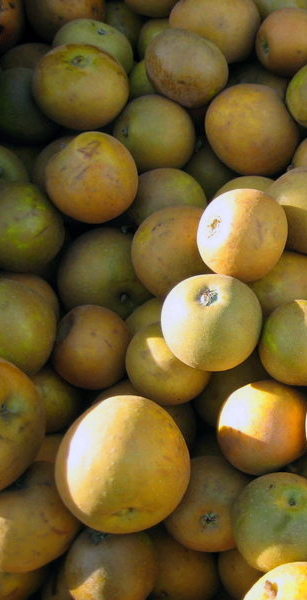 Tremletts Bitter, like the Egremont, is a Victorian cider apple identified from the Exe Valley in Devon. Tends towards biannual cropping (though I am fortunate enough to have access to several trees which alternate) but in an on year is a branch breaker. Recently, some producers have started producing a single variety Tremletts cider, which I find a bit odd - on its own, Tremletts would be challenging to say the least! However, if you are reading this with a glass of 146 next to you, and can taste the baseline tannin in the cider, chances are the blended Tremletts will have played a big part in that. At the moment, I am not sure what else is on offer at the event, although at each evening session there will be Jazz and during the Saturday afternoon there will be some cricket to watch. A busy couple of weeks for us - and I am starting to worry that I need to make the stock of cider last for the regulars (once its gone, its gone till this upcoming seasons cider is ready in April/May 2011). However, this activity has inspired me to put a couple of hundred litres aside for regular buyers to help ensure that stocks last longer. This seems to make a lot of sense to me - a festival allocation and a regular outlets allocation... just so long as I am disciplined enough to stick to it! The Festival is now on the events page. Well, if I thought things were going well for 146 Cider in 2010, the only pub that it can currently be found has gone and won some awards of its own! The Florence Arms has won this years Portsmouth CAMRA's Cider Pub of the year, but also the Wessex Regions Cider Pub of the Year too! Nice going Greg. This is very good news for a pub that prides itself on stocking a wide range of ciders - and hopefully in the not too distant future some ciders from around the world too. I attended the award notification on Saturday, and it is a very well loved pub which tries to reach beyond the regulars by holding poetry readings, plays and events regularly. Winning the regional title qualifies the Flo as an entrant to the national title. 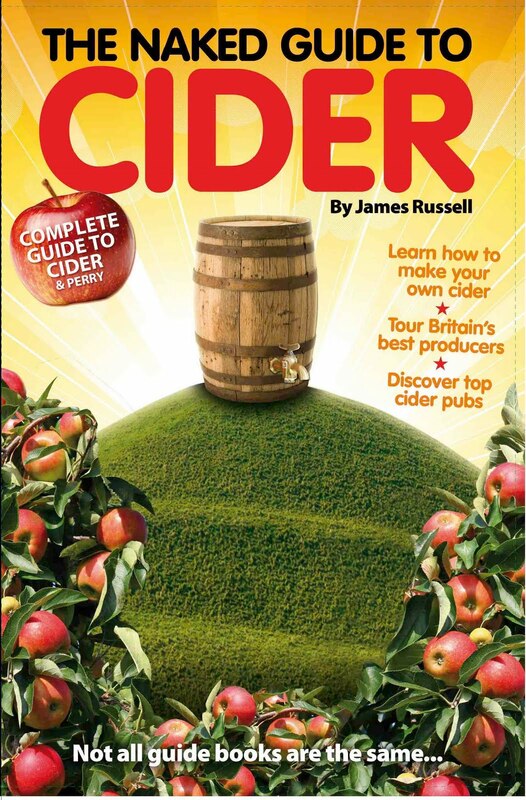 146 Cider wishes them all the very best in this - there can't be many pubs selling as wide a range as you guys! It has been a goal of mine to find an outlet who are easy to access and local to me who are willing to act as a retailer for 146 to the general public. I have to say, the Oakleaf Brewery Shop would o doubt also be quite happy to do so (although I haven’t asked them and its a bit further to travel). Ann and Chris (the owners of Bitter Virtue) are lovely people and care a lot about what they do, and they sell a broad range of real ales as well as cider. So, from now on you can make requests for cider directly to me through the contacts on this website, or directly to Bitter Virtue. I will fulfil the order to Bitter Virtue and then you can buy directly from them... yes, its a little more obscure than coming directly to me but it is safe and legal, means I don’t get it in the neck for having cars pulling onto our driveway and will give buyers a much larger range of beer and cider to choose from (well, whilst you there n’all). The outlets page has been updated to include full details. Apples! Not just apples, but high quality heritage apples! Hampshire apples too no less... Southampton apples even! I know I keep doing this to death, but really that is what its about – I cannot claim to be the ultimate apple nut (that honour is reserved for Rambling Steve Appleseed) but I do like my apples! This is why I list the varieties that go into the cider... I am proud of them. What I want to try and do is to document the main varieties that go into 146... give ‘em a write up (so to speak). There are a few regulars that will always appear in a fairly healthy quantity; they determine the baseline taste of the cider. More than once, I have sat with a particular variety of apple in one hand and a glass of 146 in the other. Its not all that helpful (after all, there are over 25 varieties) but I can point you towards the ones you should be able to taste. Rather than do the whole thing in one go, I thought I would start with my main desert apple (and one of my top 3 apples to eat too...) Egremont Russet. It is said that you cannot make a bad cider from a russet. I happen to know from experience that you can make a bad cider from any apple! I have also tried making single variety cider from an Egremont Russet too, with interesting results. It is probably marketable but not for me though. I am not particularly an ‘S.V.’ person. 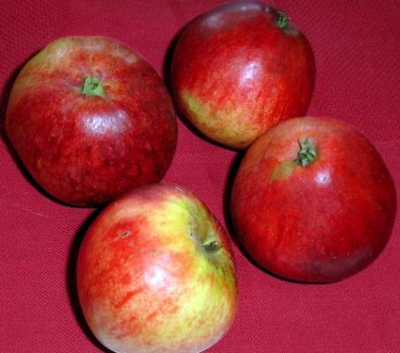 However, the Egremont is a singular apple and very under rated. If you are going to do a taste test though, please use a quality Egremont and not one bought from one of the supermarket chains which have more in common with cardboard. You will find it has a rich, almost 'nutty' flavour, with plenty of sweetness and a bit of acid. The Egremont is an early flowering tree, which is a good annual cropper. Depending on how much the fruit is thinned, they can be absolute whoppers; full of character – both sweet and sharp. They tend to be available in early October too, so right at the point the main cider fruit start to fall. The trees also have the peculiar tendency to flower a second time once the fruit has been picked, which is a nice sight in an all but green orchard. The Egremont is a Victorian apple, first noted in the early 1870's. Commonly it is used as a desert apple, although in this day and age (where people go for smooth apple skin) its rough skin may put some people off. Just goes to show that appearance is definitely no indicator of character! Within 146 Cider, you will get sharpness as well as the tannin ‘dryness’, and a residual sweetness (even though the cider is fully fermented). This is, in part, due to the amount of Egremont that goes into the blend. Next time I get a chance to do this, I shall bang on about one of the main cider varieties, the one that gives almost total tannin/bittersweet bang – Tremletts Bitter. There are different folks for different styles of cider. Some want a cloudy scrumpy; some want a clear and sparkling cider. Some simply refuse to call it cider... preferring cyder or zider. Its all much of a muchness and depends what you’re used to. So, what is 146? Well, its all these things! If you are drinking 146 from a glass at a festival, or from the Flo, then its likely its come out of a bag in box. This generally means the cider never settles and it will be flat and a little hazy. That is probably the most true that 146 gets to what I intended. If, however, you have a bottle in front of you then you have options. When 146 is just bottled, it is very much like the bag in box cider. However, over a few weeks (certainly by the time you get it) it has had a chance to settle. This simply means that the remaining yeast will drop to the bottom and leave the cider clear. If it’s left for a few months, it may even develop a bit of a sparkle too. This is also fine – carbon dioxide helps the cider keep for longer. The fine trace of yeast you see is simply the remnants of a natural process that started last autumn. It’s harmless and, to some, increases the flavour and experience of the cider. The question is – what to do? If you like your cider clear then simply pour gently off the yeast and leave it in the bottle. If you want it cloudy – well, give it a little shake to ‘wake the drink’ and pour as you like. If you want it sparkling... well, I don’t do requests generally but you may be pleasantly surprised when you come to open the bottle. Thats the beauty of traditional cider! Apart from getting involved in festivals, I have a few other events that are worth mentioning – even tagging on this blog. I have now set up a separate ‘Events’ page, where festivals, markets and special events can be listed. Asides festivals, there won’t be so many of these, as time is ever the enemy. However, its a good chance to meet people and to personally get feedback. 146 will be there, selling cider by the bottle (as the event is licenced I am allowed to do this) and offering a taster or two out. Hopefully, the cider will also be available by the glass. As the Fruitwise Apple Day falls inside the pressing season, I shall be taking my press along with me and giving demonstrations of the fine art of chopping and squishing apples to a pulp! I will keep everyone informed of any other events 146 will be at this year as they crop up – and even one or two that I will be attending but not selling (the brilliant New Forest Cider Steam Pressing Weekend, for example). Festivals are turning out to be a good way of ‘introducing’ 146 to the world, and having now got 2 under my belt, the next one is another biggy. The Pompey Beer Festival is held at the Guildhall, Portsmouth on 20th and 21st August [click for location]. Whilst this isn’t a CAMRA event in itself, the festival is run on the same scale as the one in Southampton and is well worth a visit. Expect to see a few from Whiteheads – it would seem that this is his home ‘turf’... Looking at the list from last year, there was also a good choice of ciders from many other parts of the UK. 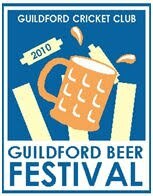 I am hoping to get a pass out to attend the festival too - well, you have to do quality control checks, don't you! There are a few other events on the go... but more on those when the cider is confirmed!